※W-20 I may take time to ship. 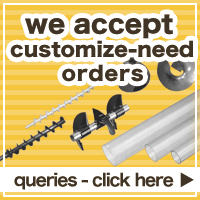 Please contact us for specific delivery date. Carrying feed, casting sand, various recycled items etc. Weighting just 1/3 up to 1/5 of the steel bucket weight, W-Laiket* places fewer loads to the belt, chain and bearings therefore prolonging the equipment life. As it's made from the soft and light plastic there are no sharp edges, making it safer to work with. It may withstand high temperatures up to 130 C.
Being compared to nylon, Special Polyethylene W-Laiket* is much more resistant to abrasion due to its superb sliding features, almost equal to those of fluorocarbon resin. W-Laiket* demonstrates stable resistance characteristics to various chemicals. Due to its softness and lightweight, Laiket* allows replacement for fewer ply quantity, therefore prolonging the belt use. 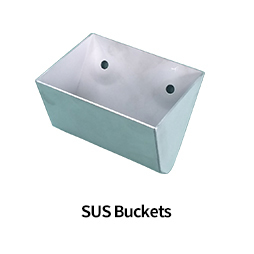 Due to its non-adhesiveness it prevents clinging of powdered materials onto surface what keeps volumes inside the bucket constant therefore keeping the carrying capacity stable. As there are no sharp edges, and due to its lightweight it is easy in installation. It may withstand high temperatures up to 60 C, and the heat resistant Laiket* type withstands temperatures up to 100 C.
*please note, that cold-resistant models(-20C) and antistatic models can also be custom-made. Being compared to nylon, Special Polyethylene is much more resistant to abrasion due to its superb sliding features almost equal to those of fluorocarbon resin. Laiket* demonstrates stable resistance characteristics to various chemicals. 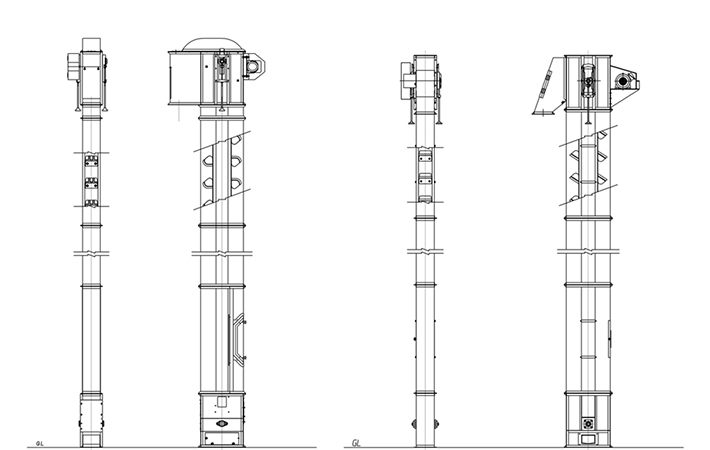 but continuous type discharges them using the back side of the Laiket itself as a sliding platform. 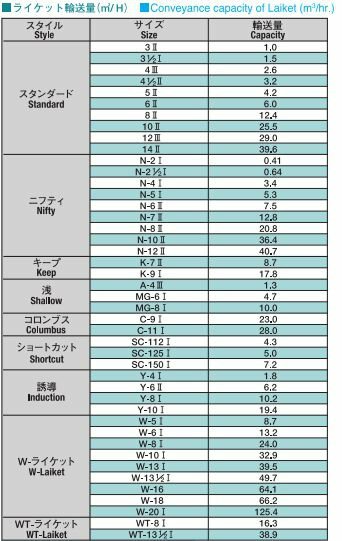 It may withstand high temperatures up to 100 C ※note however that PB-430 is 60C only. 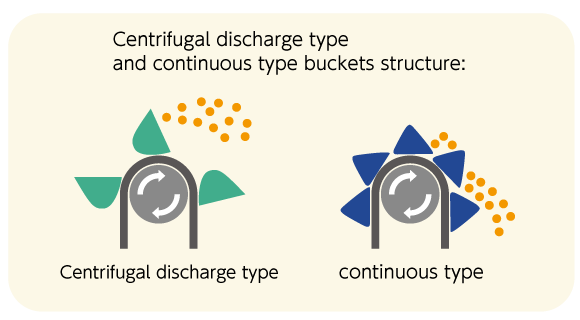 Pivoted buckets move conveyable goods in parallel direction keeping horizontal condition, discharging them to a needed place. 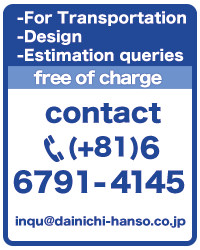 ※	Custom made bucket orders can be accepted. 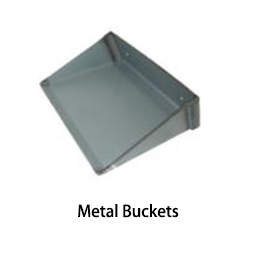 Orders of steel buckets are welcome as well. 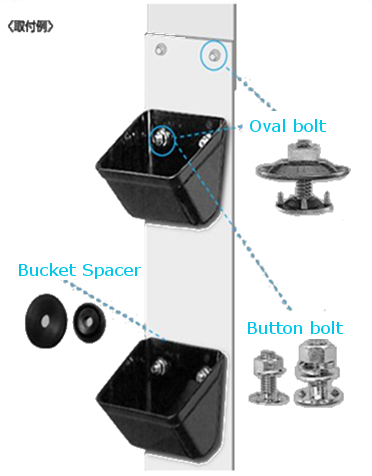 For bucket installation both elevator buttons and conveyor ovals can be used. Prevents entrapment of materials being carried by opening some space between bucket and belt. Vinyl Chloride Belt (applicable for food conveying), polyester belt, resin belt, cotton belt- any sizes upon your request. ・Size etc consultation available, please inquire in detail.